Police arrested a man for Grand Larceny after he allegedly stole items from multiple vehicles. 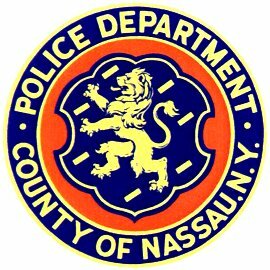 Hewlett, NY - February 19, 2014 - The Fourth Squad reports the arrest of a Hewlett man for Grand Larceny that occurred on Tuesday, February 18, 2014 at 6:05 am in Hewlett. According to Detectives, Fourth Precinct police officers responded to a call on Webster Street for a suspicious male, wearing dark clothing with a hooded sweatshirt, carrying a backpack and looking into cars. While canvassing the area, officers observed the defendant, Joshua Mackay-Smith, 16, of 309 Hewlett Parkway attempting to hide in a bush on Hewlett Parkway in possession of 2 large backpacks. Upon further investigation it was determined that he was in possession of proceeds from autos that were reported missing earlier. Mackay-Smith was placed into police custody without further incident. He was also found to have in his possession 60 blue pills believed to be Xanax. Mackay-Smith is charged with Grand Larceny 4th degree, three counts of Petit Larceny and Criminal Possession of Control Substance 7th degree. He will be arraigned on Wednesday, February 19, 2014 at First District Court in Hempstead. Subject: LongIsland.com - Your Name sent you Article details of "Hewlett Man Arrested for Robbing Cars"